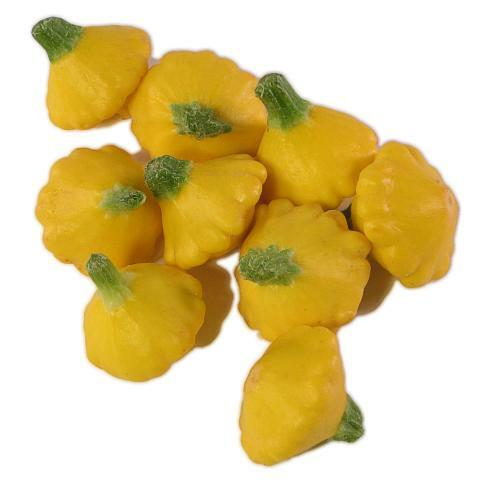 Source: Central America, Mexico and the U.S.
General Information: Also known as pattypan or sunburst, the baby yellow summer is a smaller small saucer-shaped squash features skin that is golden yellow in color. Its cream-colored flesh is more dense and slightly sweeter than that of zucchini. The delicate flavor, soft shell and creamy white flesh of summer squash is a perfect addition to any summer meal. Once only available in the summer, they are now available throughout the year; however, they are in season between May and July when they are at their best and most readily available.